In the name of "sharpening its focus to provide games for new platforms and mobile," EA instituted another round of layoffs today, with sources reporting that nearly the entire staff of EA Mobile Montreal have lost their jobs. While EA has confirmed that layoffs have occurred the company has not shared specific information on the number of employees or studios affected. 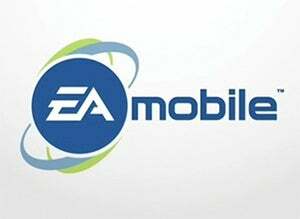 However, multiple sources close to the situation have indicated that between 250 to 300 employees of EA Mobile Montreal, including most of the quality assurance team and all of the developers, are now jobless. Signs point to the entire studio being shut down completely. An odd move, considering the mobile focus indicated in the statement EA sent to Kotaku. EA is sharpening its focus to provide games for new platforms and mobile. In some cases, this involves reducing team sizes as we evolve into a more efficient organization. These are difficult decisions to let go of good people who have made important contributions to EA, and whenever possible we retrain or relocate employees to new roles. Streamlining our operations will help ensure EA is bringing the best next-generation games to players around the world. We wish those affected the best of luck in their retraining and/or relocating.